When short-term returns on investments constitute the driving factors, watermelon is among the crops to plant. The gestation period is between 75 and 90 days, depending on varieties. Watermelon is one of the highly cultivated and consumed crops believed to have originated almost 5,000 years ago from the Kalahari Desert of Africa. Cultivated all over tropical climate, it is produced in Nigeria at different specific periods for optimal bumper harvest. 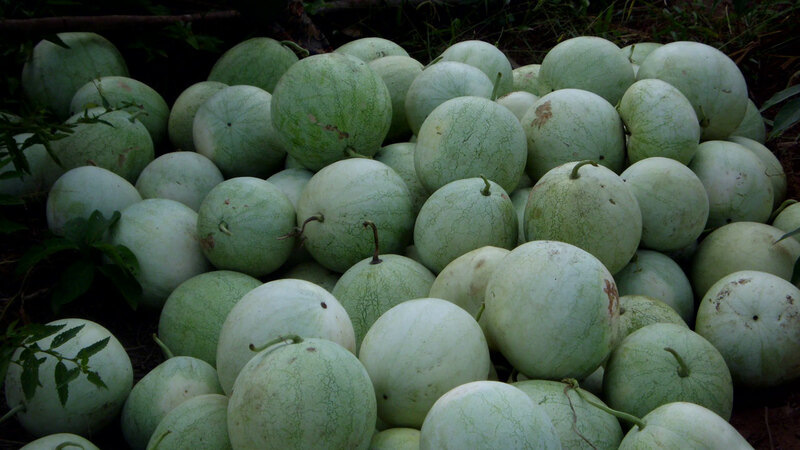 Watermelon is best planted at the outset of rainfalls and towards the end of the raining season. After spraying the prepared land with vegetable-compatible per-emergence herbicides and waiting for some days, the next step is planting. Planting could be done in phases to allow different batches of harvest if the farmland is large. However, it should be planted in a day on a small farmland. If 10,000 or 12,000 watermelon seeds are successfully grown, each could produce a minimum of one big watermelon. So, no fewer than 10,000 or 12,000 watermelons would be expected at harvest time. Planting one hectare (two and a half acres) of watermelon would require between N260,000 and N300,000. Breaking the cost down, a watermelon farmer/dealer in Oyo State, Mr Tajudeen Oyinlola, corroborated by Dr Ajayi at NIHORT, land clearing, plowing and harrowing one hectare mechanically would cost about N40,000; improved seeds, N25,000; planting and weeding labour would cost N70,000; fertilizer (four bags) and application labour, N40,000; insecticides and application labour, N40,000; sprayer, N15,000 and other expenses, N30,000. According to street value survey of watermelon, a mini truck containing 500 units of the product is sold for N50,000. Dividing 10,000 estimated harvest by 500 would make 20 mini trucks of watermelon. Multiplying this by N50,000 would mean N1 million. This was the minimum estimate.